The frosty relationship between America and North Korea is unlikely to thaw anytime soon and the regime's leader, Kim Jong Un has some very strong words for the world's super power. 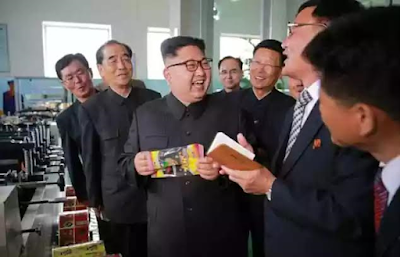 An article in the state-run Rodong Sinmun newspaper titled 'Don't Dream Silly Dream', threatened the US by saying 'its desperate intelligence operation against DPRK will only bring destruction to it'. It went ahead to say the 'maximum pressure and engagement' employed by President Donald Trump was 'just a policy of state-sponsored terrorism'. 'The foolhardy operations against the supreme leadership of the DPRK and its strategic facilities only bring to light, the wretched plight of the U.S. which has sustained disgraceful defeats only in the showdown with the DPRK. 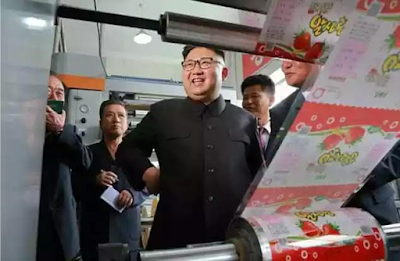 Only last week, the secretive Asian nation through its vice foreign minister, Hang Song-ryol accused the US of 'state sponsored terrorism' in an attempt to assassinate Kim Jong-un using a biochemical substance. 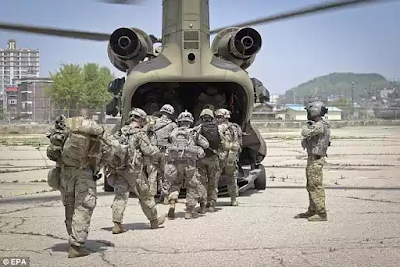 As American troops continue joint military exercises with South Korea, the North has vowed to develop a missile mounted with a nuclear warhead that can strike the mainland United States, saying the programme is necessary to counter U.S. aggression'.